Reclosable poly bags are pressure sensitive and adhere securely to clean surfaces. Clear face helps to identify documents inside. 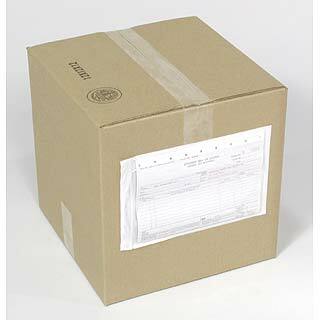 Protect documentation from dirt, moisture and oil. Quick and easy, just peel off backing and apply to carton. Open and close for repeated use.